You'll be £28.00 closer to your next £10.00 credit when you purchase The Southwold Railway 1879–1929. What's this? A delightful example of one of East Anglia's minor railways: A 3ft gauge railway, single track, just over 8 miles long from Halesworth (connections to London) across the heathland and marshes of East Suffolk to the seaside resort and harbour of Southwold. This book collates the research and memories of one of the last surviving passengers with maps and pictures to tell a fascinating tale of immaculate passenger service, management from a distant London office, closure at very short notice, and twenty-first century revival. 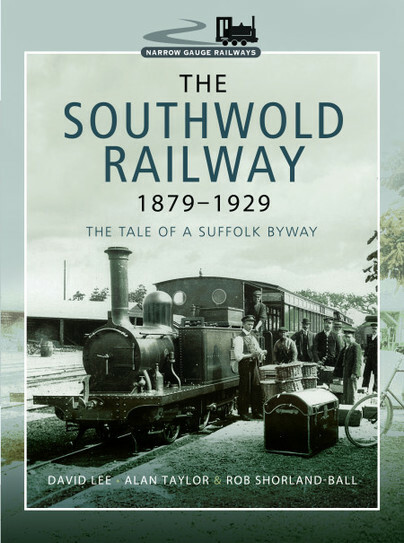 David Lee, now in his mid-90s, has researched the history of Southwold Railway for many years and welcomed the knowledge and expertise of Rob Shorland-Ball in bringing together this substantive book on the railway. Rob Shorland-Ball grew up in Cambridge, worked for BR at Cambridge Station and was Deputy Head and Project Development Director at the National Railway Museum ,York, from 1987 to 1994. He has an extensive knowledge of railways both as a researcher and author as well as a ‘hands-on’ steam engine, cleaner, fireman and driver. He has advised on projects at several heritage railways in the UK, at Steamtown, Scranton, Pennsylvania and Donetsk in the Ukraine. Rob, a former teacher, is also a born story teller so Cambridge Station comes to life in this book. The late Alan Taylor is an important contributor to The Southwold Railway 1879-1929, his opening chapter and several pictures are a tribute to his interest.